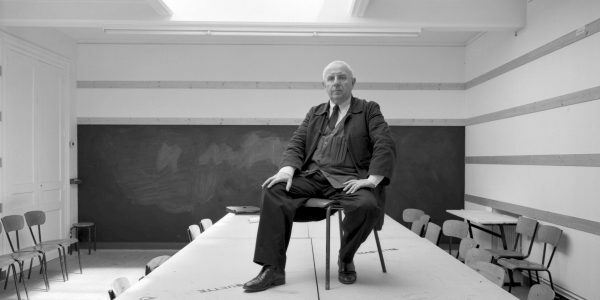 Paul Virilio is a very important, if unusual, thinker. What I’m trying to show is the really powerful character of the images that are produced everywhere around us and that no one is analysing. Because images have become munitions. Their delivery and impact have the same speeds as the impact of a bullet. The arms [weapons; BO] of the future will much more resemble a TV than a mortar. Few people probably ever think of the ubiquitous images rushing at them from all directions as weapons, but it is not that difficult to grasp, if one considers that the ‘charge’ of such images is usually information which is not that innocent. They are usually either branded images, promoting a branded product, or images of so-called ‘celebrities’, who are ‘human brands’ — in both cases clearly images heavily invested with certain interests — or they are news images aimed at influencing the way viewers think and act, and so on. In short, media images are ideologically-charged ‘bullets’ of sorts, and Virilio is one of the few philosophers, if not the only one, in the world making this explicit. 2018 “marks the beginning of the end of traditional smartphones” and [she] sees a transition to a new era of computing and connected devices based on voice, gesture and touch. 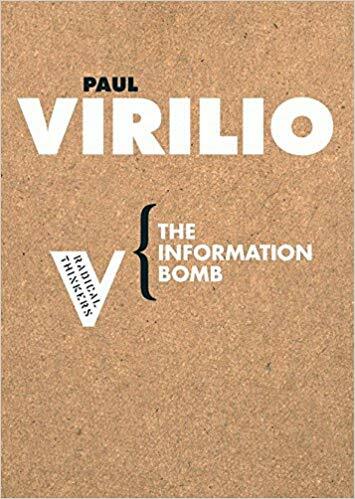 Which all goes to show just how pertinent Virilio’s work (together with that of other thinkers on technology, like Gilbert Germain, Sherry Turkle, Jean Baudrillard, Manuel Castells and Bernard Stiegler) is for understanding the era we live in. What interests me is the psychological effect of the phenomena highlighted by Virilio, and what they imply with regard to what might be termed an ‘anthropology of the present’. In all of his work Virilio highlights the central function of speed or acceleration, which does not leave human existence untouched, of course. In The Information Bomb (Verso, London; see for example pp. 66-67), already, he wrote about the shrinking of time (that is, the acceleration of our lives’ tempo) that accompanied the invention and use of mobile phones, which enable employers to ‘abolish the distinction between working hours and private life for their employees…’ Just how far-reaching such developments really are in psychological (and psycho-somatic) terms is evident from a recent article by Jake Kwon and Alexandra Field on South Koreans ‘working themselves to death’. Chae Soo-hong worked at a food supplier specialising in jangjorim, a popular Korean side dish of beef cooked in soy sauce. His primary duty was to make sure production was up to standard and on time. During the week he would travel to the company’s factories and oversee production. On Saturdays, he went to the main office to do paperwork. Even after coming home from work, his job wasn’t done: though it wasn’t his explicit duty, he’d often spend the evening fielding calls from factory employees, mostly foreign migrant workers who needed help adjusting to life in South Korea. It is in the light of such occurrences that Virilio is betting on technological changes in speed and acceleration continuing to affect human lives, usually without people even being aware of it. In a disturbing paper titled ‘The illusions of zero time’ (included in Virilio and Visual Culture) he analyses the relation between technologically mediated and produced televisual images and the ‘last horizon of visibility’ (p. 28), which is also an immovable limit, namely the speed of light. The overall effect of this – as well as of many other, related phenomena, such as virtual-reality helmets and simulators – is what Virilio calls the ‘cyberneticisation of geophysical space’. In concrete terms, this means that the ‘optical depth of the human environment is reduced’ (p. 28) or that there is a disconnect between the time-space of television viewers’ bodies (at the time of their viewing of television programmes) and the ‘frame of the screen’ or ‘televisual horizon’ (p. 29). 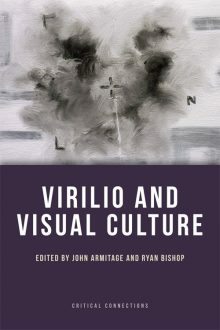 Again, the reasons for Virilio’s concern may elude one unless one recalls the character of one’s spatiotemporal ‘life-world’, which contrasts starkly with the character of televisual images as described by Virilio – images which have, ironically, been embedded in our life-world, and perhaps to our detriment. The latter possibility is raised by several news articles I’ve come across recently, including one on multimedia and one on the possibility that the use of (smartphone) screens is causally linked to children’s ‘mental health problems’. In short, we should take Virilio’s work very seriously.